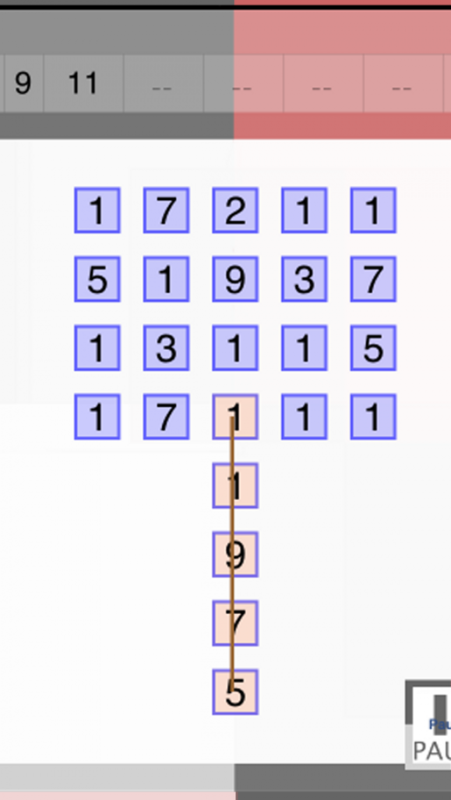 For the first time numbers have to be linked to find the number-series. 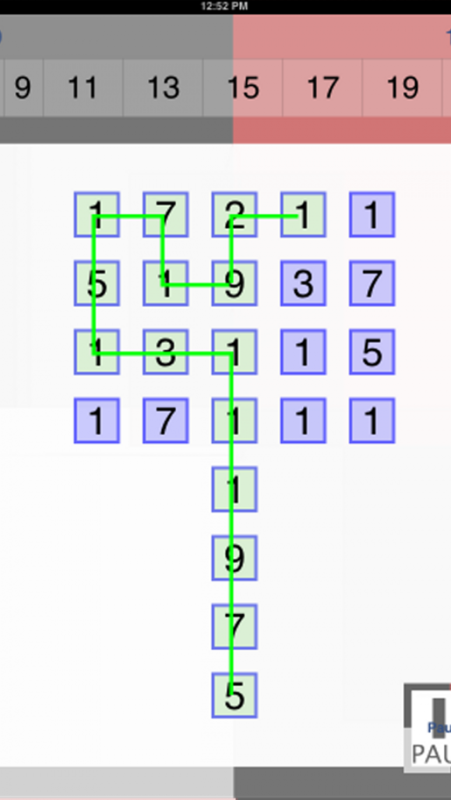 This is a game to find the number-series hidden in the 24 squares. Start right at the bottom most number and drag upwards. The first four numbers give you an indication as to what the beginning of the series is. Can you solve it within 24 seconds? If you need more time, you need to make an In-App Purchase. Remember, LEVEL 1 is FREE! and 24 seconds is free every day (for level2 and level3). So the full functionality of the app is free for 24 seconds every day! There are two challenges free too. The challenge involves a marathon of series with varying difficulty. ofcourse the free challenges come with a time limit. so get to know how the game works before taking up the challenge!